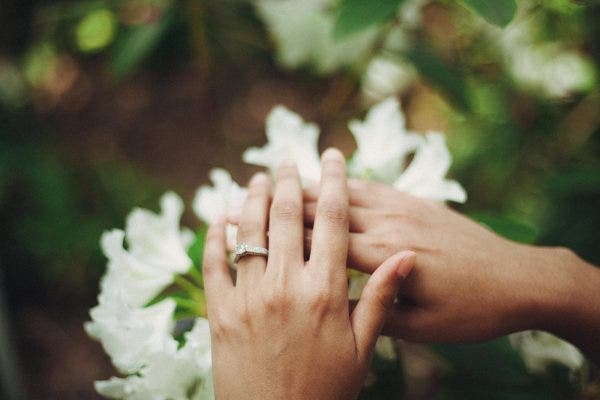 Weddings are all around the corner. A couple usually gives out invitations to the people they want to share their wedding day with. Several themes have been done throughout the years. Each theme is a unique representation of their event and it has also become the theme of their wedding. 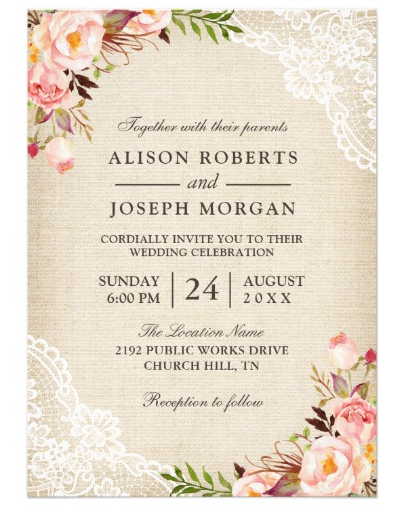 A common design used in wedding invitations these days is the rustic theme. Rustic means pertaining to the rural side of the world. It relates so much to the countryside. It is made in a simple and homely fashion. 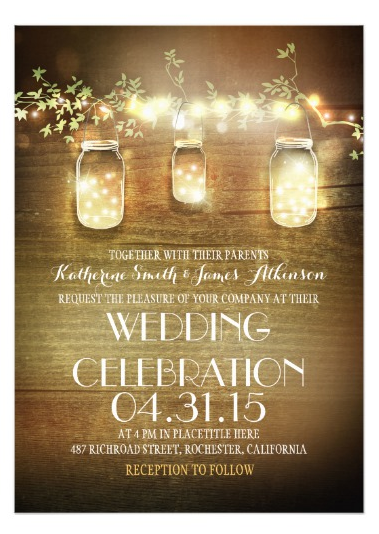 Rustic wedding invitations are usually brown in color, which is commonly used to depict the country life. 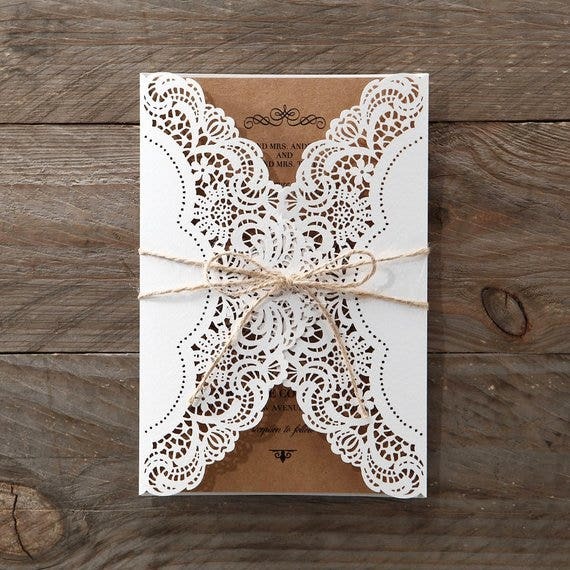 These wedding invitations are getting so much popularity and has been used for quite some time. Its simple, ethereal and natural effect captivates anyone who gets a hold of it. The rustic theme in weddings take on a simple approach than the flashier ones. Its simplicity is the main reason why couples go for this kind of wedding. The decorations in the rustic wedding theme are simpler and feels like closer to home. 2. Uses clean and minimal fonts. Rustic wedding invitations use clean and minimal fonts in its wordings. These kinds of fonts contribute to the charming simplicity of the invitation itself. The design of the invitation is not intimidating and even if it does not use too much colors, it still stands out on its own. 3. A reflection of the past. Rustic wedding theme can be a reflection of the past. The whole theme gives off a vibe that can send you back in time. With brown being the most dominant color, rustic themes can really get you back to the simpler days. It has a time-worn appeal that comes off as magical as it could be. Those were the days when life didn’t have to make us so stressed than we are now. Rustic wedding themes are a combination of comfortability and formality. Comfortable in a sense that weddings with this theme are held in the countryside, which makes the guests feel more relaxed. Formal in a sense that the dress code is relaxed yet not too revealing at the same time. You don’t have to dress up to the point that you looks so stiff in what you’re wearing. Rustic wedding themes help you loosen up. Rustic wedding themes feel more intimate since they are held in the countryside. It feels like going back home and sealing your love in a place where you first met. There is a sense of intimacy while you are saying your vows with the beautiful sunset as your backdrop. Everything is simple and natural with rustic wedding themes. A lot of people confuse the terms “rustic” and “vintage”. Both terms are utilized as wedding themes. They have almost the same feeling of giving throwback and bringing people back in time, but we tell you there’s a huge difference between them. The term rustic refers to the weathered pieces of any item such as paper and furniture. Brown is the prevalent color when we use the word rustic. It also leans more to the great outdoors since it is closely related to nature. That is why weddings taking on the rustic theme are held in farms, ranches, barns and gardens. It has a strong country feel and uses more organic decorations such as wood, bark, fruits and fresh flowers. Rustic weddings tend to have mismatched decoration but it is fairly acceptable and adds more magic to the wedding. The term vintage refers to the items of a previous era. It is a more effective theme for going back in time. In a vintage theme, a certain era in the previous century is being followed. For example, a wedding that takes on a 1920s theme has all the decorations and music related to the era. All the guests are dressed in accordance to the theme. Both themes are beautiful. The rustic theme is more intimate while the vintage theme is a flashy and glamorous one. Weddings with vintage themes are usually held in bigger venues. The dress code is more meticulous as well. The rustic theme is more relaxed, serene and calm. So the next time someone asks you about rustic and vintage, you can give them a concrete answer. They may have the same vibe and feeling, but they are different in so many ways. They have distinct characteristics that you will surely fall in love with when you have it as a wedding theme. Choosing a design for the invitation of a rustic wedding theme is not an easy task. It calls for some decision-making skills you never knew you had. In choosing a design, always go for the simplest one. That way, you can do whatever you want with its plain design. Do not forget to take note of the size of the template. It might not fit in your paper or you would take time to do some resizing. That wastes a lot of time. If you choose a more colorful design, make sure the colors are not intimidating to the eyes. You can customize the colors according to your taste. You can put a part of the design in a lighter shade and the other parts in darker ones. You also have to consider your budget in choosing the design. The prices of the templates are not the same. You need to buy what you can only afford. This spares you from overspending which can be a problem in the long run. And lastly, make sure the template runs well in your photo editing applications. A bigger problem lies when the template is not compatible with your computer. That means you have to let the template go and resort to designing on your own. 1. Find a good type of paper. Invitations are special because they use a high-class paper to print out the template. For rustic wedding theme, brown-colored paper is commonly used. Find a thick paper that does not make the ink bleed when the template is printed. Several templates can be found online. Find one that fits your budget and buy it. Take note of its size you can prepare a larger paper to print it on. Rustic wedding themes don’t need flashier fonts. Simple ones would do. This makes the design look cleaner and better. 4. Choose the right words. Your invitation has only a limited space. Make the most out of it by choosing the right words to put in. Add the basic information such as your names, time, date and venue of the wedding and the reception. Your cordial greetings should be well-phrased, warm and straight to the point. 5. Add decorations when needed. Add a bit of life to your wedding invitation. A few colors close to nature would do. When the template is done printing, put it inside the envelope and seal it with a ribbon. The color of the ribbon can be anything as long as it has a light shade. It’s best to send the invitation a month or two before the wedding. This gives your guests more time to prepare. Do a door to door delivery of the invitations to make it seem more personal and cordial. Rustic wedding themes make you feel closer to home. Its simplicity and more relaxed feel is a perfect complement for those looking for a natural vibe in their wedding. It all starts with the invitation, which should give off that kind of feeling.